Long a refuge for expatriate Brits drawn to it by the sun and the surf, the gemlike shimmer of the Caribbean waves and the hospitality of its residents, Antigua and Barbuda is now being discovered by other Western tourists in search of Paradise on Earth. In this tiny, two-island nation, local traditions mix with elements of British lifestyle, luxury resorts with traditional farmlands, and heritage spots with American fast food franchises. Fine colonial architecture—St. John’s Cathedral in the capital city of St. John’s, 18th century fortresses, sugar mill ruins, and the historic Nelson’s Dockyard in English Harbour—combines beautifully with the laid-back Caribbean spirit. Cricket, a British import, is the national sport—and Antiguans and Barbudans are passionate about it. Tourists, however, come here for the beautiful beaches. Antigua is said to have one beach for every day of the year—365 in total. The highly developed ones in the north-western coast and the isolated ones along southwest lure tourists to the island, whereas it is the bird sanctuaries and the sunken ships that attract one to the less developed, less populated Barbuda. 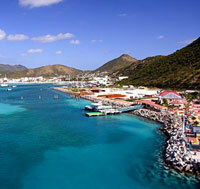 Antigua and Barbuda was declared fully independent from British rule in 1981. Since then, its stable parliamentary-democratic government and rapid economic growth have drawn investors and immigrants to the small nation. Native and British residents are now joined by Portuguese, Americans, Lebanese, Syrians, and Latin Americans. English remains the official language. Local dialects are still spoken, and Spanish is slowly spreading. Christianity is the major religion in Antigua and Barbuda, but folk legacies remain and resonate throughout the nation, from its “mas” (street theatre) to its music. 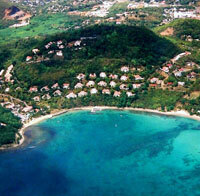 The rhythmic clangour of steel bands playing calypso music is the soundtrack of the islanders’ lives. 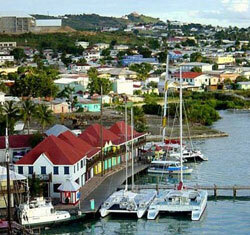 Antigua and Barbuda faces the Caribbean Sea to the west and the Atlantic Ocean to the east. While the nation enjoys beautiful, year-round beach weather, it is also sometimes buffeted by storms and hurricanes that cause severe damage to property and affect the country’s economy. The last major one to hit the country was Hurricane Luis in 1995; it killed at least three people and damaged millions of US dollars’ worth of property. Regular weather and beach monitoring is being done to protect lives and to check beach erosion caused by the storms. Antigua and Barbuda is divided into the parishes of Saint George, Saint John, Saint Mary, Saint Paul, Saint Peter and Saint Philip on the island of Antigua and the dependencies of Barbuda and Redonda.